Ashley Graber, LMFT joins me for a discussion about the benefits of meditation and mindfulness. Ashley shares practical ways to in cooperate the practice into your day-to-day life and the importance of creating a routine around your daily practice. 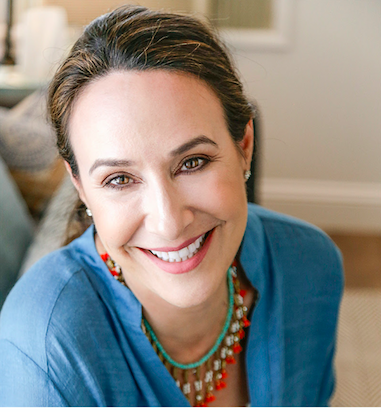 After 15 years working in Commercial Real Estate in New York City, Ashley Graber changed the coast she lived on and the direction of her life from Real Estate to the worlds of Psychology and Meditation & Mindfulness. Ashley came to these practices after getting sober and in the decade plus since, she now runs a busy mindfulness based psychotherapy practice at Yale Street Therapy in Santa Monica, CA where she see adults and children. Ashley is the Director of Curriculum for the next generation meditation app & mindfulness company ‘Evenflow’ and just launched the company’s one to one online mindfulness mentoring program. Ashley was trained in Meditation and Mindfulness practices by renowned teachers, Elisha Goldstein, Richard Burr and Guiding teacher at Against the Stream Boston, Chris Crotty. Her Mindfulness Based Stress Reduction (MBSR) certification was done through The Center for Mindfulness at UC San Diego, her clinical degree is from Antioch University and her internship hours were done under the supervision of Stefanie Goldstein, PhD. Additionally, Ashley is trained by Mindful Schools to teach Meditation and Mindfulness practices to children and she is Trauma Resiliency Model (TRM) and Eye Movement Desensitization and Reprocessing (EMDR) trained for trauma reprocessing. Ashley’s unique combination of psychotherapy, trauma reprocessing and meditation and mindfulness practices make her a sought after therapist and mindfulness educator. Her passion for the benefits of mindfulness practices as well as her enthusiasm for helping young kids and adults is the drive to teach these very necessary, life long skills and why she wrote and runs the Mindfulness for Families program at The Center for Mindful Living where she teaches groups of families with children ages 6-12 and why she teaches students and educates teachers and administrators in schools and businesses in Santa Monica and Los Angeles. Newer PostEpisode 28: What Is Happening To Our Relationships?